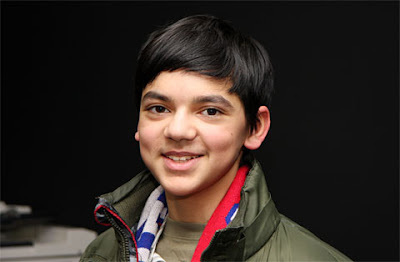 He is one of the chess prodigies and world's youngest Grandmaster as of February 2009. At the age of 14, 7 months, and 2 days he completed his final GM norm in Corus C 2009, Wijk aan Zee, after beating Venezuelan GM Eduardo Iturrizaga. He is the youngest ever Grandmaster in the chess history of Soviet Union/Russia and Netherlands (when he achieved his third GM norm, he was affiliated with Russian Chess Federation; currently he is affiliated with Dutch Chess Federation). His current rating now is 2588. He was born in St. Petersburg, Russia in 28 June 1994. Son of a Nepalese father (Dr. Sanjay Giri) and a Russian mother (Olga Giri). He moved to Japan in 2002 with his parents. He was a member of Japan Chess Association and Sapporo Chess Club during his stay in Japan. He became Russian champion (U12) while he was living in Japan. In August 2007, he returned to St. Petersburg with his family. Since February 2008, Anish and his family have been residing in Netherlands. Now he is playing in Group B in Corus 2010. In the first round he defeated GM Pentala Harikrishna of India (2672) in 55 moves with the white pieces in the Slav opening which is also the best game in group B, therefore Anish Giri awarded 250 euros. While the 500-euro prize in Group A was awarded to Alexey Shirov from Spain for his victory over Peter Leko. And in Group C, the 100-euro prize was given to Li Chao of China who won against the host Benjamin Bok.